So last time out I talked about how you need headroom in your PA so your mixes don’t sound bad, the PA doesn’t make them sound worse, and you don’t wear out your PA in the process. Today I’m going to talk about my opinion on how much headroom I like in a PA when it comes to mixing modern music. Here’s the quick and dirty answer: 20 dB of headroom. Seriously. In an ideal situation I want around 20 dB of headroom within my loudspeaker system above the average level of my mix. For example, if I’m mixing for some fine folks that like their average level around 90 dB at FOH, I’d like a PA that can produce a maximum peak level of at least 110 dB at FOH. If we’re going to push closer to concert levels up around 98 dB like some of the current services I mix, I’d like a PA that can produce a maximum peak level of at least 118 dB. Where do I get 20 dB? It actually comes from a couple of places. For starters, I’ve just been finding that PA’s tend to sound better if they’ve got plenty of headroom. When the rig has room to breathe, it can sound more open and remain clean as it gets pushed. Maintaining a clean sound becomes especially important as SPL levels go up. Andrew Stone over at Church on the Move blogged about similar experiences on the road when the PA’s were over-spec’ed for what seemed necessary. In addition to personal experiences, there is also a technical reason for this. 20 dB is the amount of headroom within my console above “0” dB on the VENUE’s meters. Let’s step back a bit and refresh on meters and meter scales a bit. 0 dB on our good ole analog console’s VU meter actually refers to a specific voltage reference level of .775 Vrms. Digital audio typically uses a different scale often referred to as dBFS or Decibels below Full Scale. Full scale represents the top of the gear’s limit. When audio hits full scale, it goes into full on digital distortion. In digital audio world, our analog 0 dB voltage reference level is calibrated to -20 dBFS based on SMPTE and ATSC standards. So -20 dBFS(Decibels below Full Scale) in digital world = 0 VU in analog world. If we take this a step further to my current console of choice, the Avid VENUE, the meter scale is styled after our familiar analog VU scale where 0 dB on the meter actually equals -20 dBFS. I think this might actually be a subtle advantage for consoles like VENUE and the new digital Midas desks because they both use a more traditional looking analog-style meter scale on their consoles. I believe there is a natural tendency for audio engineers to try and hit a 0 dB reading on a meter so a small thing like screen printing 0 at -20 dBFS on a meter scale might naturally drive engineers to leave headroom on their inputs and in their mixes. On the other hand, when that 0 gets moved to the top of the scale, it’s hard for some to train themselves to pull things back because 0 is the target often ingrained in the audio engineer’s head. Now a quick disclaimer: audio metering is a lot more complicated than I’m describing here especially when we start moving into the digital world and utilizing peak meters instead of analog VU meters. I’m actually trying to wrap my head around some new information on this right now, but every conversation with my EE friends tends to melt my brain a bit more. Hopefully, when I figure out how to explain some of the implications I’ll have another post. In the meantime I think this is a rough enough description for you to understand what I’m getting at. Now back to the PA. So, if I have 20 dB of headroom in my console AND my PA, in theory my PA and console should hit their limit around the same time. More importantly, though, it means that my average mix levels within my console will be optimized at a nominal level when the volume in the room is where it should be. The PA we installed last year actually has a bit more headroom than we need for a Sunday. I haven’t done any real tests, but based on Meyer’s MAPP predictions, I should get a maximum peak SPL around 121 dB(A) at FOH from a single array. However, in reality, this is just about the right amount of power we actually need for the room. I like to look in terms of the maximum loudness I’m going to need when assessing how much power a PA needs, and those needs typically go beyond Sunday mornings and into the world of special events. For example, within the last year we’ve hosted several events for students needing more output than a Sunday morning. Part of that is they like it relatively louder, but another part is the rig needs to get loud enough to get over the screaming students. Conferences are another example. It’s quite common for us to run some programming, such as a conference opener, a little louder than Sunday morning content. Conference crowds also tend to engage more during worship so as with the students, the PA needs to get louder than Sunday morning. 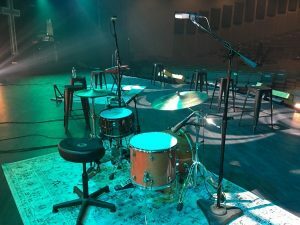 We don’t typically host outside concerts, however, I know a lot of churches like to host them, and if you’re going to host concerts you need to think about how loud those artists are going to want to be and plan accordingly. Before I wrap this all up, I want to briefly touch specifically on subs because this is another area that often gets underpowered. I know I talked earlier this year about how I’m over subs, however, modern music still requires a significant amount of power for the bottom end. I don’t have any science for this, but in general I’ve found that I like my subs to be set about 20 dB louder than the tops; you can see this in the transfer function pictured here. Some guys like to go 10-12 dB. Some do 6 dB. But 20 just seems to feel right for me and for the level we mix music in my present situation. As I said, there’s no science here, this is primarily feel and the level that seems to work for me. At first glance 20 dB may seem like a lot, but here’s my thing. The bottom end of the mix needs to be balanced relative to the entire mix regardless of the level of the subs relative to the top boxes. If the subs are set too low or lack power, a mixer will naturally compensate by boosting the bottom two octaves with EQ. The danger in this is significant EQ boosts at any frequency reduce headroom on the mix bus. Having enough sub output means I don’t need significant EQ boosts which helps with….wait for it….Headroom. This also helps with mix translation outside the room. I don’t find myself doing significant boosts on the bottom end of things like kick drums in the studio so why should I do it in a sound reinforcement setting? 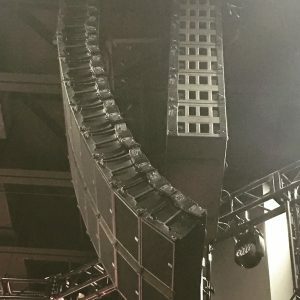 Properly powering a PA for modern music may seem like a daunting and expensive endeavor to some depending on specific needs, but I think it’s important to also look at this as an investment. Building enough headroom into the system will help extend the life of the PA. Plus, it’s a big help in creating a better sonic experience for listeners. So, I do have a question. I end up liking to have a little boost, not much, in the low end yes, but I also mix constantly in a situation that the subs spectral LPF is around 125hz. I cannot boost too much as I end up getting A LOT of rumble all the time in my vocalists (partially because the console I mix with does not have a 12 db per octave HPF like the VENUE). 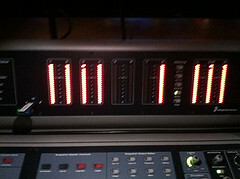 I run it on a A&H iLive console. In that instance I have brought the low end to around 6 db or even lower. The question I have is, minus a “flat” curve for your room, what do you think I should do about my subs? I do still boost EQ on the bottom end of things like my kick drum. That kind of thing just depends on the drum. But I’ve been in situations before where the only way to get the kick working was to do really big boosts of 10 dB or more. I would set the subs to where they feel right in the room on a mix. I might start with some reference music, and then tweak the level a bit once I’ve got a mix up if something seemed off to me. Can you sweep the HPF on the iLive? Where do you set it on vocals? Oh and I did not mention that the spoken word is not around 75 db SPL. It stays more around 60-65 max (per request of the pastors feeling of what they want). That kind of adds a little more problems of course. OK, I might try a couple of things with the PA optimization first, and you might already be doing this stuff. If there are issues at 500, I might investigate that a bit and see if I can do any system EQ to help it. Then I might play with the LPF setting on the subs. If there are issues around 120, I might slide that down LPF down a bit. Any particular reason why you have it up at 125 right now? This might not be possible for you, but the other thing I might try and do is figure out a way to do some sort of aux-fed sub type setup so that spoken word has no chance of getting in the subs. For example, I feed my PA from Matrix’s. I’ll use 3 mono matrixes to feed the PA: Left, Right, and Sub. Each matrix is then made up of essentially 3 different busses: live music, playback, and spoken word. When it comes to my matrix feeding the subs, I can either feed it with one of my three busses OR I can create a new one(aux send perhaps) to feed it. However, by using a matrix, it’s easier for me to keep things like spoken word out of the subs. Then I’m probably also attenuating playback in the sub matrix because the level I like going to the subs for live music is probably too much for everything else. Hey, thanks for confirming my suspicions. I cannot make those changes without an “act of congress” right now, but The work around is fine for now. I just miss what seems to be like the necessary headroom in the PA because of it. I can do the opposite for a concert for sure. But like I said, my PA does stay in the yellow sometimes and I really don’t miss any of the transiants in the drums for sure, I guess I just need to bite the bullet and do some balancing. Thanks for your input! Duely noted and I will look into it. Also, wanted to mention I am working for Presonus Electronics Technical Support. 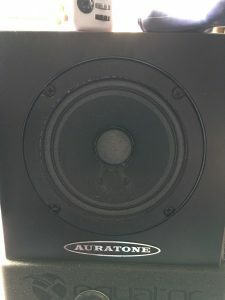 I don’t know if you have anything Presonus or are using anything but just let me know if you need to contact me at all you are definatly more than welcome. Man this is a lot of good information. I’m struggling to find that balance between my amps to keep the signal to noise ratio down but still get plenty of push from my system so my system EQ isn’t really crazy. 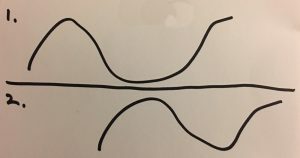 Any suggestions on how to find the nominal “0” balance between your speakers and your board? We typically run Sunday services in the 93-98 dBA range with student events in the same room running a lot louder.